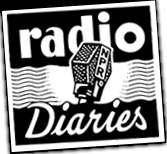 Radio Diaries: Majd’s Diary - Two Years in the Life of a Saudi Girl. 19-year old Majd tries to come to terms with her dreams and her expectations. Freakonomics Radio: Is the Internet Being Ruined? How do companies like Google and Facebook affect how we use the internet? Creative City: HighStreet Co-founder Leah Spurrier talks about how she launched her career with a clear vision and a solid plan. S-Town: From the creators of This American Life, this story of a strange Alabama town continues to dominate the podcast charts. Serial: Sarah Koenig and her team follow the plot and characters wherever they take them, and they won't know what happens until they get there. The Daily: From The New York Times - Only what you want to know, none of what you don't.